Cheat Sheet. My preparation for the Laser Master Worlds has always been practicing on Dallas lakes and then arriving early to hopefully get a feeling for the open-water conditions. 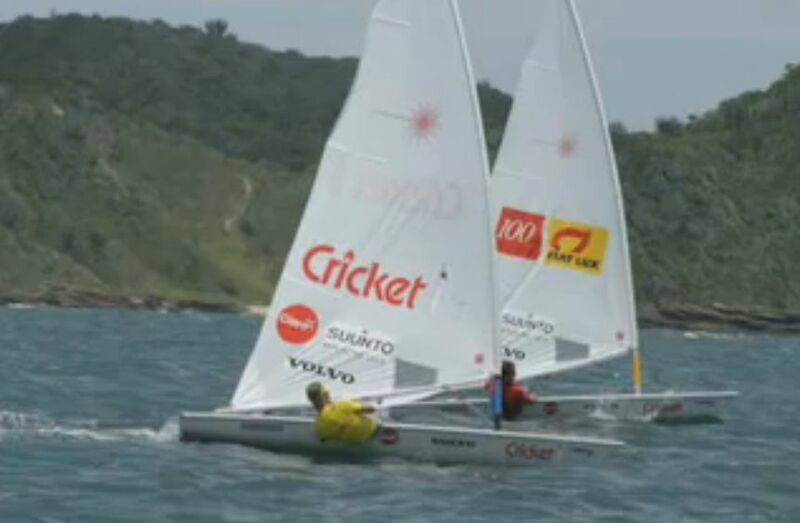 One of the really cool things is that the Master Worlds are often scheduled right after the Open Worlds, so I got to watch Robert Scheidt win in Algarrobo, Cancun, Cork, and Hyannis, as well as watch his epic battle against Ben Ainslie in Melbourne. Robert was easy to pick in a crowd because of his fore and aft movement in the boat - he really punched through the waves and I'd listen to various discussions about the legality of these movements. The consensus was that something this beautiful to watch was surely legal. 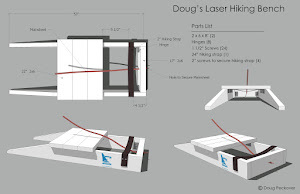 In fact, many feel that Robert redefined what was "legal" in sailing a Laser. Unfortunately, I also watched another champion win an event that was definitely illegal. I was just ahead of this World Youth champion as we headed for the finish line and could hear his boat accelerating and decelerating as he rolled me. I turned around to watch 90 degree sit-ups. He stopped, gave me one of those what-the-hell-are-you-looking-at stares, and then continued. 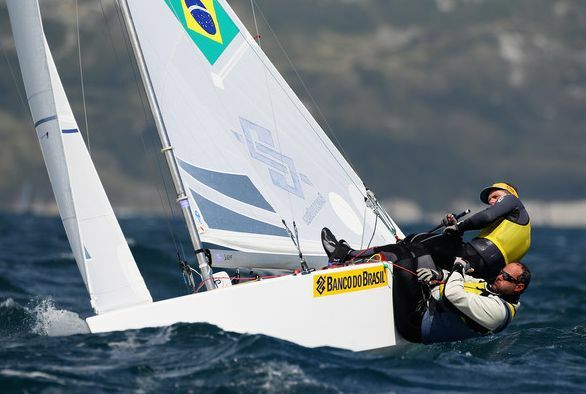 I gave up sailing for several months out of disgust. 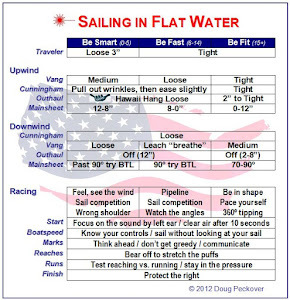 For those readers who may not be familiar, try this next time you're sailing upwind in a medium breeze: lean in and out so that you can feel the sail fanning or pumping the breeze. With each pump, your boat will accelerate. Why does this work? Surely, any gain leaning out is negated by the corresponding opposite movement in? The reason is that the pressure is the square of the wind speed. So a 7 mph (square=49) is slower than 5 and 9 (average of 25 and 81=53). The bigger the pump, the bigger the advantage. 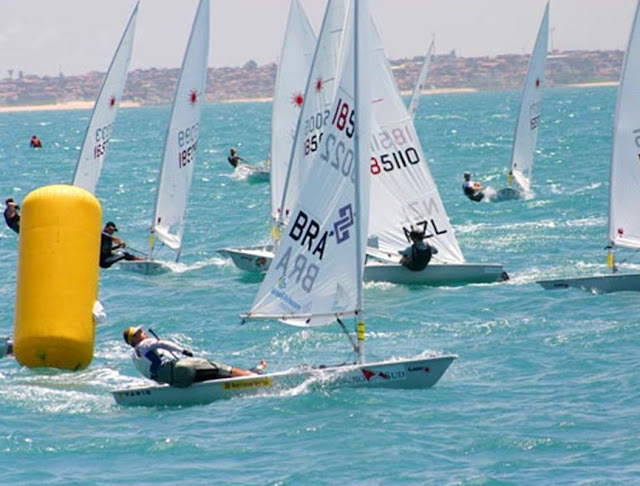 This of course is illegal in a Laser because the rules state that sailors "shall not otherwise move their bodies to propel the boat." And at judged events, the things that judges look for is this in and out movement and also the resulting movement at the top of a mast. So, we have a fore and aft movement that is legal and an in and out movement that is illegal. Sailing at night helped me find something in between and, yes, it's legal because I've had World's judges watch and follow me without objection from just a few yards away. Disclaimer: this is what works for me - if you disagree with any part of this, please post your own comment. Besides being illegal, there's a problem with an in and out movement. 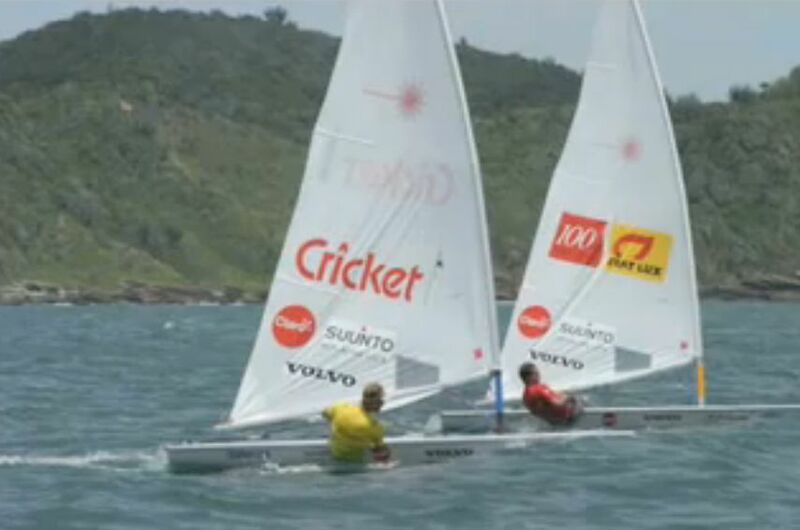 On the left, we can see that the additional pressure on the sail is sideways and not forward, so it's not very efficient. But on the right, a movement that combines both in and out and fore and aft works with the part of the sail that moves your boat forward. And the more the fore and aft the movement, the closer we're getting to Robert's legal movement. 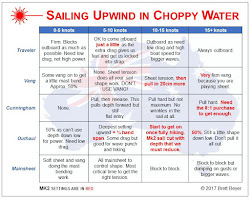 And if it's so subtle that there's no movement but rather just feeling the slight changes in the pressure at the front of the sail, the top of the mast does not move and it's legal. And it's fast!